Stellar is the most trusted, professional, fast & reliable data recovery service provider in Hyderabad. We recover data for many organizations, SMEs, individuals, professional photographers &videographers’ from all kind of data loss situations. Data loss can happen due to many reasons like human errors, virus attacks, software related issues, or maybe physical damage to the hard drive or any other storage devices. Here is a comprehensive overview of data loss cases which we receive in our data recovery Hyderabad Center. SD Card Recovery – Due to smaller in size, SD Card is the preferred data storage device for storing and transferring photos videos, documents etc. But one can lost data from SD card due to Accidental formatting, corruption, damage etc. Note – For recovering data, make sure the internal circuitry of the main chip of SD card is not damaged. Photo Recovery – We provide photo recovery services in Hyderabad. We at Stellar ensures upto 100% recovery of your deleted/corrupted/formatted photos, party photos, wedding photos, family photos, corporate photo shoots, and other types of photographs irrespective of the cause of inaccessibility. We have recovered photos and videos for many Hyderabad based photographers. Our experts can recover photos from all kind of data loss situations. Read here how we recovered marriage photo shoot for a professional photographer. Video Repair - Stellar Repair for Video is the no. 1 video repair software which can repair corrupted video, broken or damaged MP4, MOV,AVI, MKV, AVCHD, MJPEG, WEBM, ASF, WMV, FLV, DIVX, MPEG, MTS, M4V, 3G2, 3GP, and F4V file formats. The software can repair all kind of corruption and errors. The software is 100% secure and user-friendly and can repair multiple videos at one go. Hard Drive Data Recovery – We are experts in recovering data from hard drive. 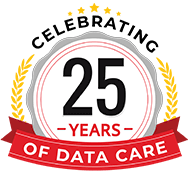 We operate over 50,000+ Jobs in our data recovery center every year. We receive many hard drives (Internal Hard Drives, External Hard Drives, and Portable Hard Drives) in our data recovery Hyderabad center for data recovery. Our professionals can recover data for both logical hard drive failure and physical hard drive failure. Stellar is the only data recovery service provider who has the certified class 100 clean room facility. 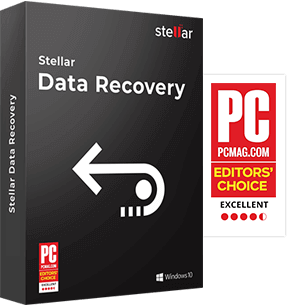 Our experts at Stellar can recover data from complex data loss cases. We recover data from all kind of hard drives (All manufacturers, all make and models including Western Digital (WD) hard drive, Seagate hard drive, Dell hard drive, Toshiba hard drive, as well as HGST hard drive, etc.). Firmware Failure Hard Drive Recovery etc. Some of the regions we serve from our Hyderabad data recovery center are Hyderabad, Secunderabad, Musheerabad, Amberpet, Malakpet, and Jubilee Hills ETC. You can give a try to recover your Deleted Files and Folders through our Data Recovery Software. The software can help you to recover upto 100% data and provides data security and data safety guarantee. Read more to know about the software. 5/5 April 16, 2019 Thanks for your overall support and getting 100% data recovery of HDD. 5/5 March 30, 2019 Excellent...Stellar recovered my entire data. 5/5 March 30, 2019 I received good support from Stellar thanks to the entire team.